Prospective homeowners face many struggles when trying to purchase a home, including coming up with the funds for down payment and closing costs. At Fairfax Mortgage Investments, we help our clients overcome these obstacles by providing access to Down Payment Assistance Loans. A Down Payment Assistance Loan is designed to lower the out-of-pocket costs needed to obtain a mortgage with low-interest funding. We offer home loans and other financing products to current and prospective homeowners in Northern Virginia, Maryland, and Washington DC. Fairfax Mortgage has more than 34 years in the business and has helped thousands of clients secure their dream homes by providing the funds necessary for a property purchase. When you go to apply for a home loan, you probably expect to have to pay a solid 20 percent for your down payment, and another hefty fee for your closing costs. Today, that is no longer the case. Eligible homeowners can now qualify to borrow a lump sum to cover these costs in the form of a low interest loan. You may be eligible for a Down Payment Assistance Loan if you meet certain income and purchase price qualifications. Contact our loan experts at Fairfax Mortgage to see if you qualify. Many homeowners are forced to wait until they have a 20 percent down payment to put on their new home before buying. With a Down Payment Assistance Loan, you do not have to hold off on buying the home you want. With down payment and closing cost assistance, you can buy a home whenever you are truly ready, no matter if you have the funds for a down payment or not. Significantly reduce the amount of cash you need to have upfront so you can be in your new home sooner. Obtaining a Down Payment Assistance Loan is also a great way to save money. With a DPA loan you do not need to pay private mortgage insurance (PMI) every month. Over time, this can result in significant savings. Another major benefit is the ability to build equity. With a DPA loan, every payment you make goes towards repaying your loan, not towards private mortgage insurance. This allows you to build equity faster which can be beneficial if you wish to take out another loan in the future. If you are a new homebuyer, you may not fully realize all the costs that go into purchasing and maintaining a home. The last thing you want to do is use every last penny you have for your down payment and closing costs. However, statistics showed 81 percent of first time homebuyers use their savings to fund their down payment. To avoid becoming “house poor,” give yourself a cash cushion that you reserve for maintenance and unexpected emergencies. Down Payment Assistance Loans can provide you the funds you need for your down payment so you can avoid using all of your savings. How Does a Down Payment Assistance Loan Work? When you contact our loan experts at Fairfax Mortgage Investments, we will determine your eligibility. If you found to be an eligible candidate for the loan, we can offer you loans and other financing products to help pay for not only the house itself, but also the down payment and closing costs. We offer a range of benefits, such as interest rates as low as 0 percent down. Assistance amounts generally range from a few thousand to tens of thousands of dollars which will go towards the down payment, closing costs, repairs, principal reductions, and similar expenses. 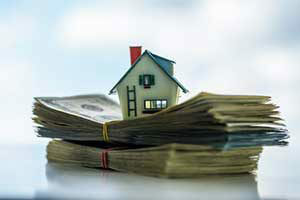 There are many reasons a current or prospective homeowner should apply for a down payment loan. While a DPA is not always necessary to afford a home, it can make the process far less stressful mentally and financially. While most people are stuck on that standard 20 percent down, many lenders will qualify you for a mortgage with a low down payment and help you apply for down payment assistance for any remaining balance. This type of loan is ideal for first time home buyers and individuals with low incomes. 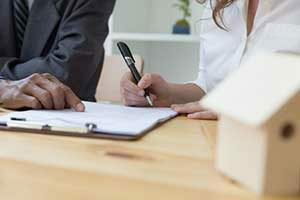 Talk to a loan officer at Fairfax Mortgage Investments about your loan options. Depending on the type of home loan you apply for, you may only need to borrow a small sum to cover your down payment and closing. For example, if you qualify for a FHA loan, you may only need to put 3.5 percent down. In some instances, you may not need to put a down payment down at all. If you qualify for a veterans (VA) loan or a USDA loan if you live rurally, your down payment amount may be as low as 0 percent. If you are a new homeowner, your down payment and closing costs may be lowered by applying for a wide range of first time homebuyer programs. The First Time Home Buyer Loan Program generally takes about 30 to 45 days to complete but can offer prospective homeowners a variety of benefits. The process is easy. Simply estimate the price of your new home, as well as housing costs and expected closing costs. You can then create a budget based on these criteria. To ensure eligibility, you will need to provide documentation, such as pay stubs, tax returns, bank account statements, credit lines, and the name and address of your previous landlord. Fairfax Mortgage Investments offers comprehensive loan services to serve Fairfax and the local area with fair and affordable home loan options. With more than three decades of experience, there is no one better to trust with your financial future than our qualified loan experts. Let us guide you every step of the way, from the initial application to the day you get the keys to your new home. For more information about Down Payment Assistance Loans or to apply, contact us today.